Miami Geo Quiz #15: Check out the two images below. Answer the following questions: (1) Where — be as specific as possible; some latitude/longitude coordinates or very specific directions to the site would be best — can one find these columns of remembrance in Miami-Dade County? (2) For what event / why were these columns built? 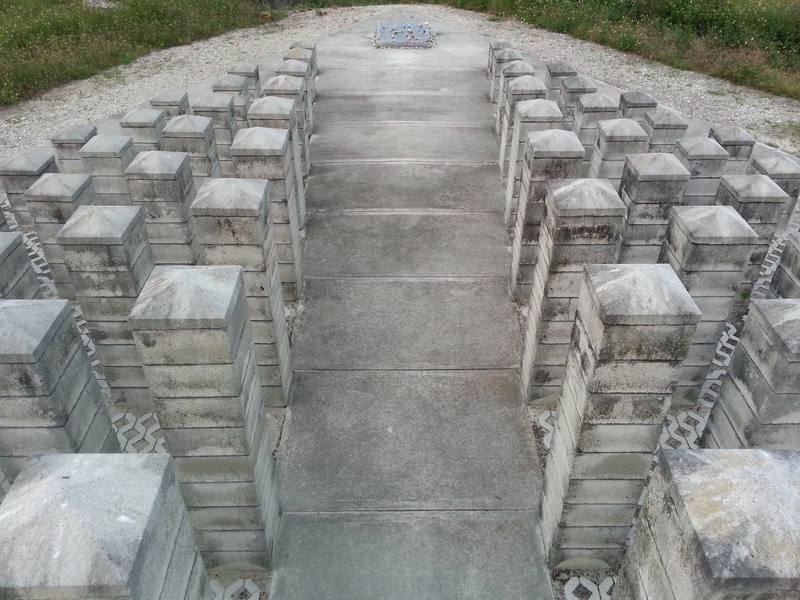 Miami Geo Quiz #15: Columns of Remembrance — Photo A. Source: Matthew Toro. September 25, 2014. 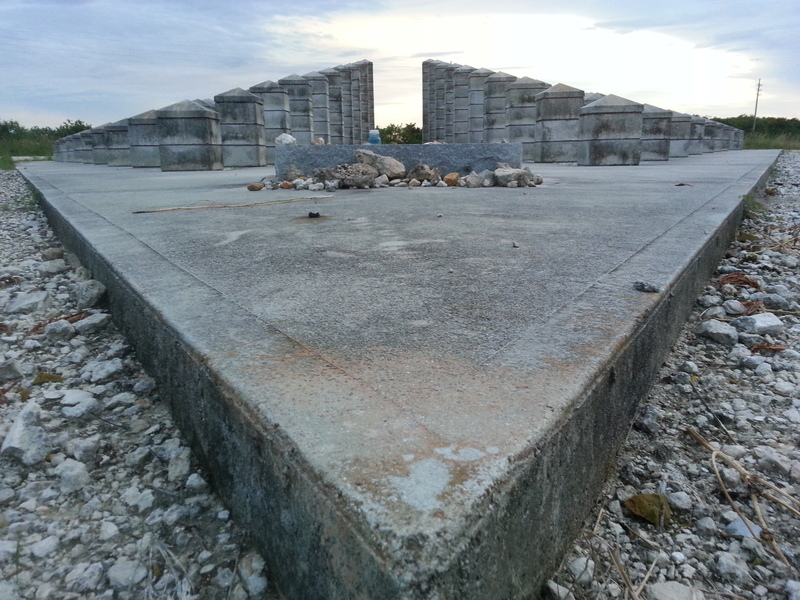 Miami Geo Quiz #15: Columns of Remembrance — Photo B. Source: Matthew Toro. September 25, 2014. Right on, Kelly! I think ValueJet 592 went down on that date, May 11, in 1996, though. Nice job! Be on the look-out for the next Miami Geo Quiz soon! in 1992, Valujet 592 crashed into the Everglades, May 11. That is the memorial built to honor the 110 dead. Awesome . . . but strange. Your second set of coords. (25°45’42.5″N 80°40’19.3″W) are spot on for Google Maps, but still a bit off for Google Earth. This is what I’ve got for Google Earth: 25°45’42.50″N 80°40’19.34″W. Interestingly, I think Google Maps automatically assumes what real-world landmark users are attempting to look at and rounds the coordinates to the nearest second (the last number in the lat./long. combination). Google Earth seems to be a bit more precise: 80°40’19.34″W longitude versus Google Map’s 80°40’19.3_″W longitude. You’ve just taught me a valuable Google mapping lesson, Stopt Hebus! Thank you! Anybody want to take a stab at what this location is all about / why it exists? For a second time in a row, Stopt is graciously leaving it open so others can have a chance too . . .
Point taken: pretty silly precision and then wrong at that. I mistakenly used the center coordinates of the google map instead of the location of the whatever-it-is. Better: 25°45’42.5″N 80°40’19.3″W. Your coords. are a bit off, considering the rather high precision (number of decimals) in your decimal degrees, but you’re definitely in the right vicinity. I’m curious: What is the source of your coordinates? How about the second question? Want to say anything about how that site came to be?